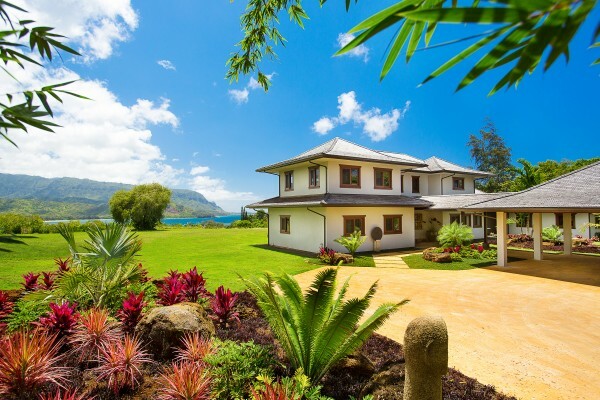 If you have been looking for a home on the North Shore of Kauai with expansive views, privacy, quality design, and state-of-the-art craftsmanship, then look no further…This home (MLS# 255554) is close to beaches, golf, shopping, dining, and countless outdoor adventures, yet quietly and conveniently tucked away from it all. 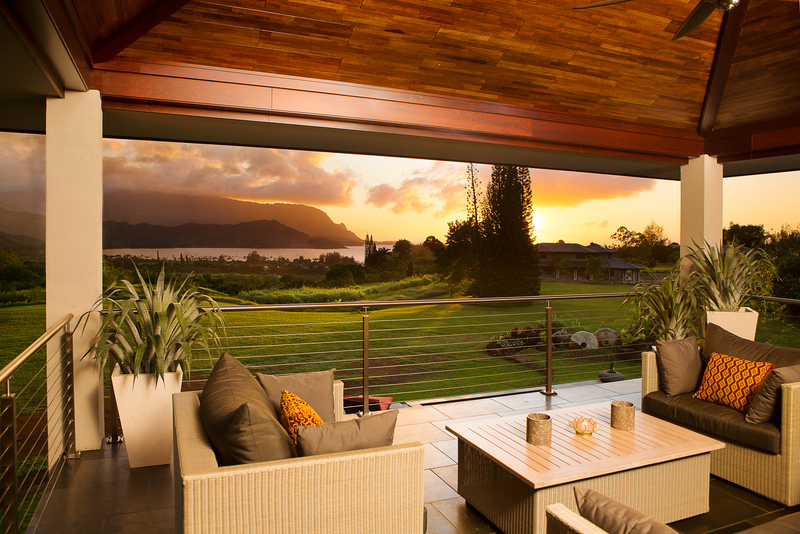 This brand new, custom home is perched on the bluff overlooking world famous Hanalei Bay. Breathtaking, westward-facing views take in the Bay, sunsets, a wide panorama of mountains, and numerous large waterfalls – offering an ever changing kaleidoscope of mother nature’s magic. 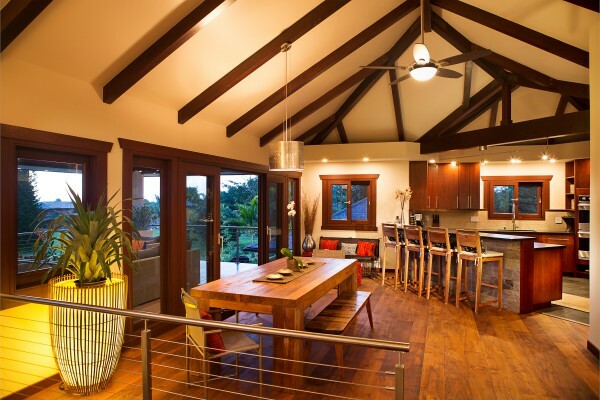 Thoughtful design elements throughout the home make it a standout among the crowd. 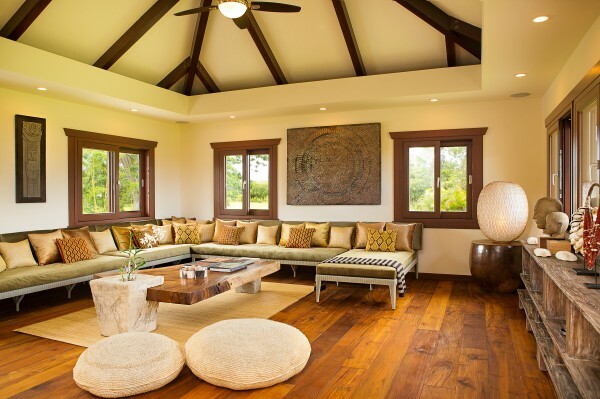 Balinese and Asian/Tropical elements are complemented by clean contemporary architectural lines. 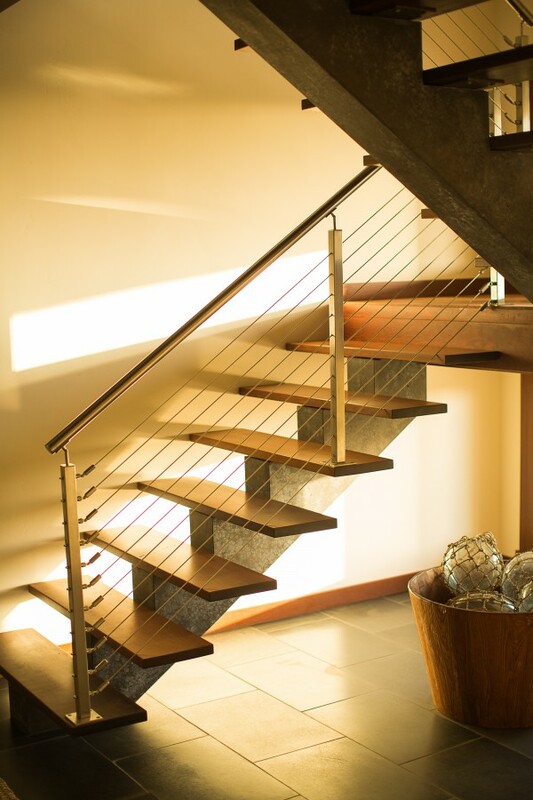 All elements are blended with quality material choices from around the world. 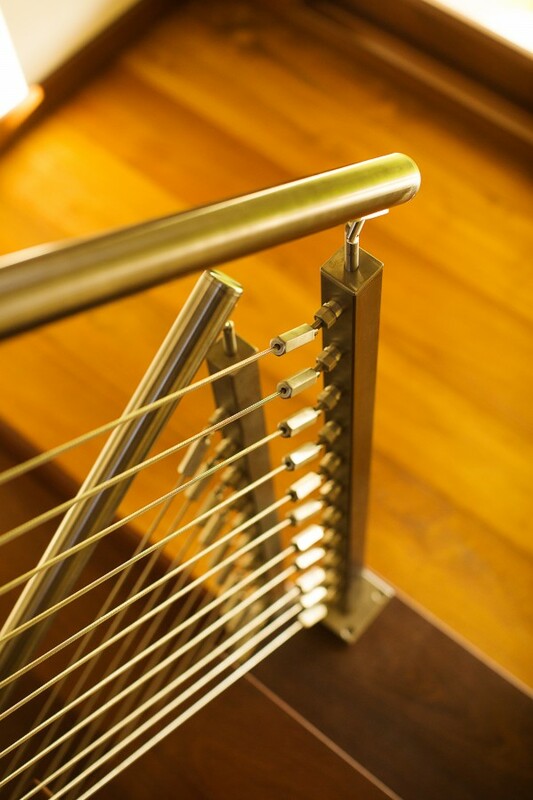 Attention to detail is evident in every aspect of the home. A large gourmet kitchen opens up onto a dining area and a truly “great room” which connects to a spacious outdoor lanai overlooking the pool and the Bay beyond. 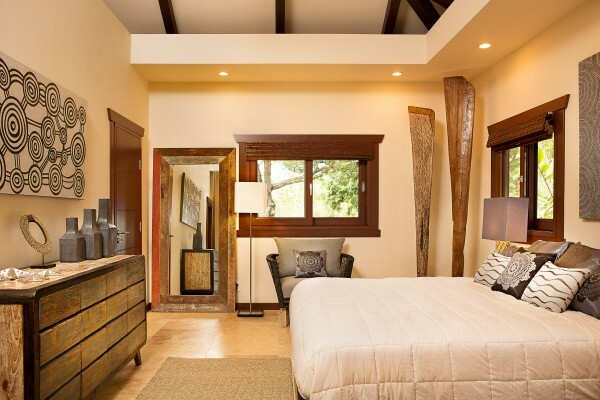 The master bedroom and guest suites are each situated in individual pods, which are accessed via a lushly landscaped corridor, affording utmost privacy to the occupants. Large bathrooms, deep soaking tubs, spacious showers, and ample walk-in closets complete the home. 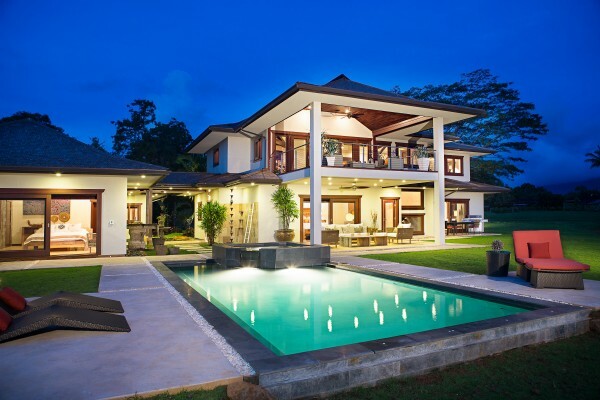 This home was recently featured on Houzz.com, which showcases residences of exceptional architectural style and form. 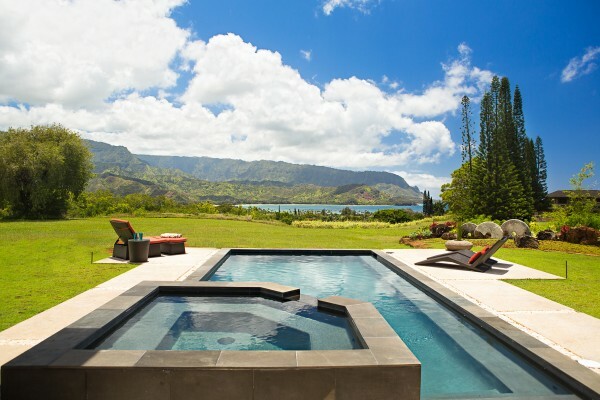 Type in the keyword “Hanalei” to search for this property on Houzz. To view a full photo gallery of this property, go to: Hanalei Bluff Gallery.